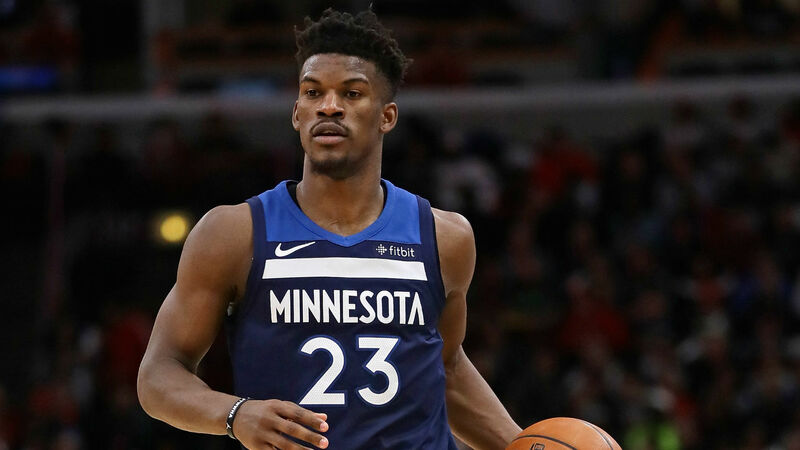 Minnesota Timberwolves fans have not forgiven Jimmy Butler for requesting a trade. In Minnesota's home opener at the Target Center, fans booed Butler incessantly in pre-game introductions. Butler requested a trade before the start of the season and the team have reportedly been trying to move him. No deal has been made as of yet, and Butler remains in Minnesota. The 29-year-old turned down a four-year extension worth around $100million prior to the season starting. He has one year remaining on the five-year, $92m deal he signed with the Bulls before Chicago traded Butler to Minnesota last offseason.